Love sharks? Scared of sharks? Or do you just want to know more about them? 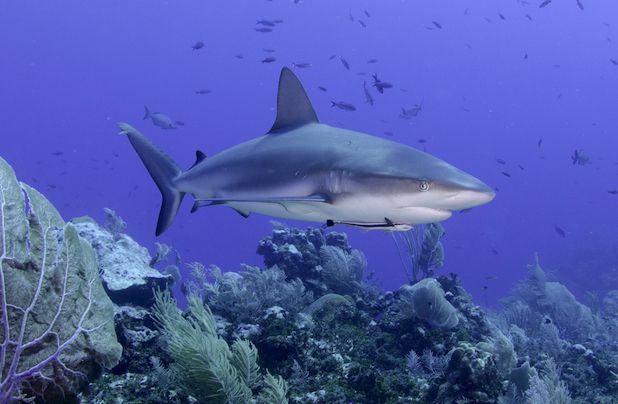 Enroll in this AWARE Shark Conservation Specialty course and discover the value of sharks to marine ecosystems and economies. You’ll learn more about the causes of declining shark populations and the actions you can take to become a knowledgeable and passionate shark defender. By being informed, you can dispel misconceptions and act to protect sharks. Sharks need you! The conservation status of sharks, why they are unique and vulnerable, and the importance of healthy shark populations. How to manage threats to sharks, recognize the value of sharks and remove barriers to conservation. Actions you can take to protect sharks and how joining a global movement of divers can help to protect sharks. Instruction, certification, classroom lesson, air tanks, belts, lead weights, towels and drinking water. Cost of boat dives, Nitrox, rental gear (BCD, Regs, Wetsuit), Dive Computer. eLearning is not available for this specialty certification class. Gratuities Not Included. Transportation to and from your hotel to the departure point in East End is not included. You will need a rental car or taxi if you are not staying in the East End district. Specialty certifications with Ocean Frontiers are listed as instruction fees only and do not include the cost of the boat dives, cameras or nitrox, where applicable. The prices are structured to be 'add-on' classes to existing dives you have already booked with Ocean Frontiers. Download and read the AWARE Shark Conservation Diver Study Guide from the Project AWARE website. Book your dives with Ocean Frontiers and then 'Add-On' this specialty class. You can add it on via the shopping cart online, call or email to complete your reservation.